Sunday, April 3rd, 2016 was a brisk and chilly morning as we all laced up our shoes and pulled our Parkway Nissan race shirts over our heads. But it was worth every minute as we are proud to announce the final fundraising results. To everyone who walked, ran, donated, shared a post or attended a pre-race fundraiser – THANK YOU! You helped us accomplish something remarkable. With your support, the Parkway Nissan team raised $3,670 for the patients of St. Joseph’s Healthcare! Your generousity enables St. Joes to purchase life-saving equipment and provides the funds for vital research to create a healthier community for all of us. 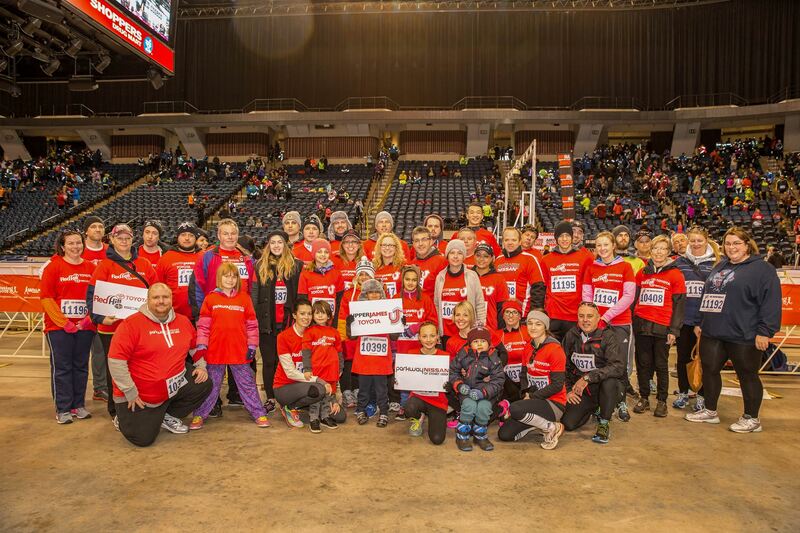 Thanks to all the amazing teams in 2016, this year’s Around the Bay race raised a total of $485,149! Truly amazing. working together for healthcare in the Hamilton community. Proud to have collectively raised $20,293!